The UK’s aviation regulator has stepped in after a plane took off from an island airport after air traffic controllers had gone home. Air traffic control staff at airports across the north are working to rule this month as part of a bitter dispute over pay. The Loganair flight left Kirkwall Airport for Edinburgh on Friday night with 33 passengers and three crew on board, and arrived safely. It took off at 8.45pm – an hour later than scheduled and three-quarters of an hour after air traffic controllers finished work. But the circumstances at the Orkney end of the journey have caused anger with claims the air traffic control crew were outwith “the legal scope of action” in refusing clearance for the aircraft to take off. 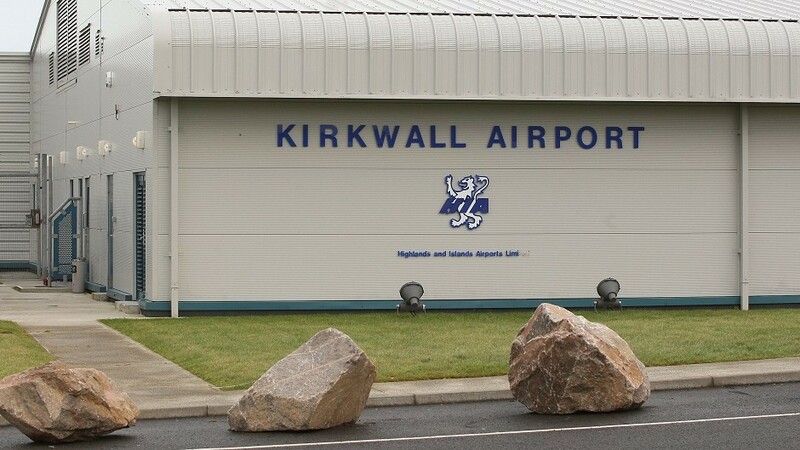 The Saab 2000 aircraft, which was operating the route between Kirkwall and Edinburgh on Friday evening with 33 passengers and three crew members aboard, called the control tower for start-up clearance at 7.43pm which was denied, despite the airport remaining open until 8pm. Hial and Loganair claim the controllers were rostered till 8.30pm, but the controllers – and their union representatives at Prospect – say their hours concluded at 8.00pm. Jonathan Hinkles, Loganair’s managing director, said: “It is a matter of profound regret that Hial’s air traffic controllers – a group whom we hold in the highest professional regard – have chosen to engage in this action based on their union’s advice, and moreover have exceeded the legal scope of action in doing so. “We are calling on Prospect to ensure its members act within the law; and on Hial and the Cabinet Secretary for Transport to take action against Prospect to ensure that its right to engage in industrial action is exercised only lawfully. He said that the airport was open until 8pm, but air traffic control were on shift until 8.30pm in case an aircraft departed but then needing to return. But Prospect’s David Avery said: “The rules relating to rest periods for air traffic controllers are very strict. Due to these rules the controller had to come off the desk at 20:00 and there is a requirement that the last departure is 15 minutes before the close to ensure that an aircraft can return if there is a problem during take-off. A Hial spokesman confirmed an investigation was under way regarding the circumstances surrounding the dispute, adding: “The flight was able to depart following a dynamic risk assessment undertaken by Loganair’s Flight Operations Management in conjunction with HIAL.